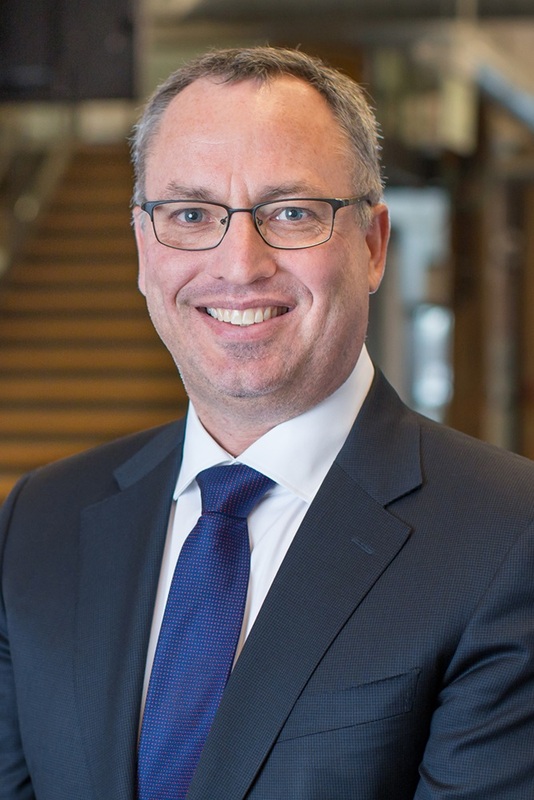 Dr. Steven Murphy joined the University of Ontario Institute of Technology as its new President and Vice‑Chancellor on Thursday, March 1. He envisions the university to become a real bastion for alternative ways of thinking about why diversity in all forms is important. He believes experiential and co-operative learning opportunities are fundamental training for successful careers. He encourages students to embrace a collaborative approach that champions diversity and strives to make society a better place. Dr. Murphy is renowned for his organizational and human behaviour expertise across business and industry. Even more notably, his dedication to equity, diversity and inclusiveness underscores every facet of how he lives his life. Beyond the lens of race and gender, he believes firmly in the diversity of thoughts and ideas. As Dean of the Ted Rogers School of Management at Ryerson University, Dr. Murphy transformed the school’s brand, established novel interdisciplinary programs and fostered innovative and entrepreneurial co-op opportunities for students, growing the university’s program exponentially. Previously, he spent more than a decade in progressive academic and leadership roles at Carleton University’s Sprott School of Business, as Associate Dean, Research and External. During his tenure, he also served as Associate Dean, Research and Graduate Studies, Associate Professor, and Assistant Professor. He holds an esteemed record of academic achievement awards for his work examining the role of emotions in strategic decision‑making, leadership and other organizational and human behaviours, as well as his insightful approach to teaching. Internationally, Dr. Murphy was named a Visiting Academic Fellow of the Business School at the University of Western Australia in 2010, and he has also taught MBA courses in China and the Middle East. He has published more than 110 papers, book chapters and technical reports. Dr. Murphy recently received his Institute of Corporate Directors Designation from the Directors Education Program at the University of Toronto, Rotman School of Management. Growing up in a family-run business and learning first-hand the value of working with people inspired his educational trajectory. He earned a Bachelor of Commerce (Honours) in Human Resource Management. Dr. Murphy enhanced his education with a Master in Management Studies (with Distinction) in the Management of Technology. Equipped with fundamentals in business and technology management, he addressed his passion for understanding human behaviour and emotions, and completed his Doctorate in Management, Organizational Behaviour, all at Carleton University.